As one of the most successful and widely known electronic artists of all time, David Guetta is largely credited for helping take dance music to the American mainstream masses. His trademark sound, which bridges the worlds of electronic and urban music, is behind some of the biggest hits in the dance and pop worlds. And he’s got the accolades to prove it: two Grammy Awards, global sales now in excess of 50 million albums and singles, more than 10 billion plays on YouTube and Spotify, countless #1 singles, and multiple platinum and gold hits. Still, most fans are unfamiliar with Guetta’s roots in underground club culture and proper house music. 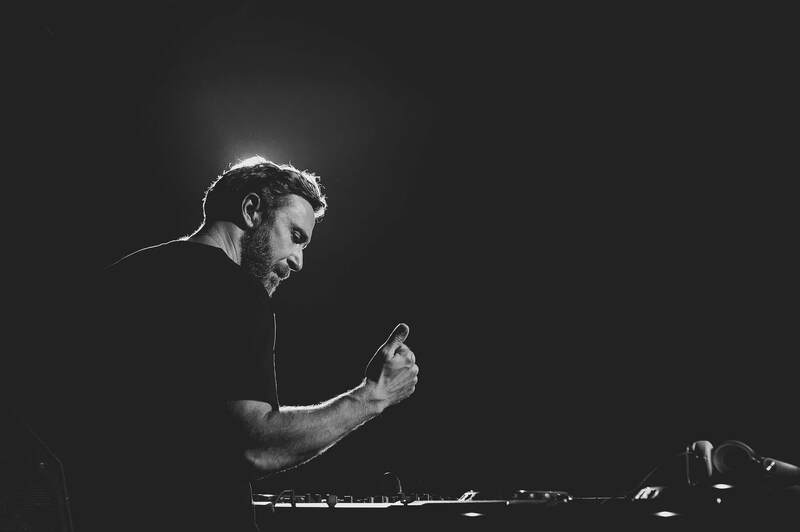 Launching his career in the Parisian club circuit, the French-born producer/artist made a name for himself as a local DJ and nightclub promoter in the mid-‘90s. After blowing up in the late aughts and reaching his international breakthrough via his 2009 album One Love, Guetta went pop, and the global momentum hasn’t stopped since. In 2012, a remix of the Flo Rida track “Wild Ones,” featuring Sia, appeared, credited to a mysterious artist named Jack Back and also featuring Guetta, Nicky Romero, and Sia. Jack Back was later revealed to be a Guetta side project, with his associated Jack Back Records, also launched in 2012, primarily focusing on electronic/dance beats rather than his usual dance-pop music. While the Jack Back alias has remained somewhat dormant for the past few years, Guetta revived the project via his 2018 full-length project 7, a double album split between commercial-friendly dance-pop and underground house music. The second half of 7, the house-centric segment, is fully credited to Jack Back and was ultimately released as a standalone mixtape, in DJ mix format, called the Jack Back Mixtape. Jack Back, it seems, was back. Since making its official return, the Jack Back project has taken a life on its own. Beyond the Jack Back Mixtape, he’s released burning dance floor cuts for venerable house imprints like Defected Records (“(It Happens) Sometimes”) and Toolroom Records (“2000 Freaks Come Out,” with Cevin Fisher). Next week at Winter Music Conference (WMC) 2019, Guetta will host the world premiere of The Road to Jack Back, a short documentary, in conjunction with Beatport, that captures the story of Jack Back as told by the man himself. (The full documentary will be available on Beatport’s YouTube channel starting Friday, March 29.) Following the exclusive premiere, Guetta will host a live Q&A at WMC where he’ll discuss the roots of the Jack Back project and what lies ahead. Prior to WMC 2019, we caught up with David Guetta to discuss the return and the future of Jack Back. Everyone knows you from your massive dance-pop music hits, but not a lot of people know that you started in the underground. Your Jack Back alias sees your return to your deeper, house-centric roots. Why is now the time to bring back Jack Back? The release of my latest album  was like a full-circle moment for me. I had less pressure making this album and really wanted to go back to my roots. For this album, I made the music I wanted to make, and it shows the different sides of me. You first debuted your Jack Back alias in 2012 via “Wild One Two.” Then in 2018, we saw the return of Jack Back with “Overtone.” That’s a six-year gap. How long have you been working on the return of Jack Back? I have been making this music on the side, but now the time just felt right to bring it back. In a 2012 interview, you said your Jack Back Records imprint is “just for fun” and “not for making money.” Now in 2019, what is the vision for Jack Back Records? At the moment, we’re focusing on Jack Back as an artist first, but maybe we will bring Jack Back Records back as well. In addition to Jack Back Records, you’ve also partnered with esteemed house and techno labels like Defected Records and Toolroom Records. Why did you decide to partner with those labels? Those labels have such a great history of releases and artists, [so] of course I wanted to work with them. [Those] are [the] type of collaborations that elevate you as an artist; there’s so much I can learn from those labels. The fit with Defected Records and Toolroom was so right. I’m really proud of what we did together. How do you think fans of your pop-oriented dance music as David Guetta will react to your new music as Jack Back? I don’t expect them to understand or like Jack Back. I just do what I love to do and I hope that my fans will love it, too. I love different types of music, and this is also a part of me and my history. It’s about the music, not the name attached to the music. The David Guetta sound and the Jack Back sound are from two different worlds. Did you face any challenges or did you deal with any haters when you relaunched the Jack Back project? It was the reason why I first kept it on the low. I find that the industry actually appreciates the fact that an artist wants to display multiple sides of his creativity. Of course, you always have haters, but overall, the reactions have been very positive. What were some of the main challenges in bringing back your Jack Back project? How did you overcome them? The main challenge would be separating it from the David Guetta music people expect from me. It’s the type of music that I started with, but not the music that made my name. It was a challenge for me to find a way to make Jack Back credible. I was afraid people would think, “David Guetta producing tech house? yeah right!” But David Guetta and Jack Back are different artists — they are different sides of my creativity. I’m so happy to say that Jack Back is being received very well. My original sound now has a name to it. Word on the street is you’re premiering a new documentary, in partnership with Beatport, that captures the story behind Jack Back exclusively at WMC this month. Can you give us a sneak peek into what the documentary will cover? I don’t want to spoil it too much, but the fans can see the story behind Jack Back. It will go back to the beginning — the style of Jack Back is the original me and what I have been playing when I started out in the underground clubs. It’s cool to be able to show the process to the fans. What’s next for Jack Back in 2019? Lots of new music and Jack Back shows. I can’t wait to show everyone what we have in store this year! David Guetta will host the world premiere of his new documentary, The Road To Jack Back, in partnership with Beatport, at Winter Music Conference (WMC) 2019 Thursday, March 28, from noon—1pm ET at Faena Forum in Miami Beach, FL. His panel, David Guetta: The Road to Jack Back, will also include a live Q&A with David Guetta about Jack Back. WMC 2019 Industry and Access badges and registration are now available.